Do you have a Halloween get together or class party for your kids? 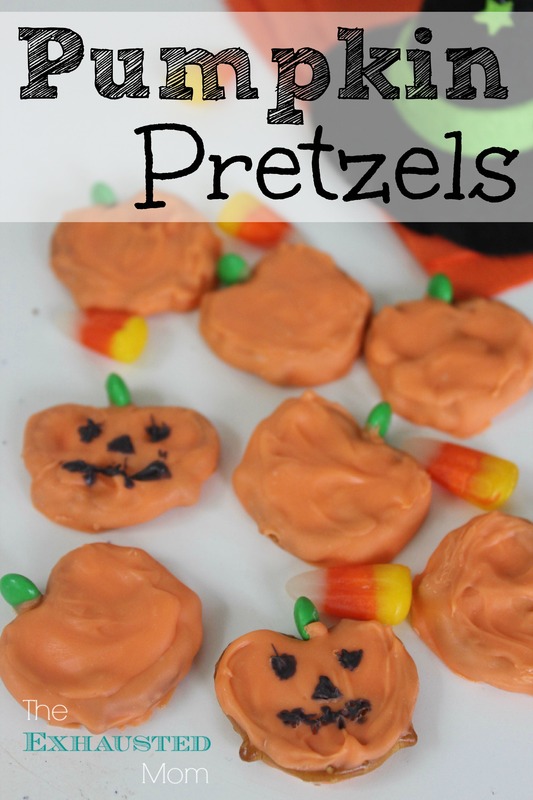 I want to send my kids to school on Halloween with fun snacks for their friends and teachers. 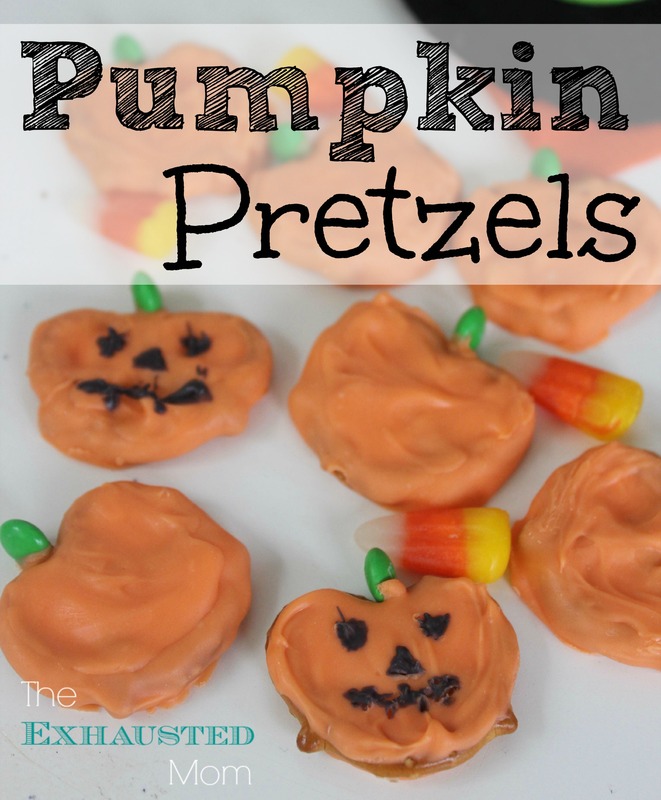 These Pumpkin Pretzels are an easy and fun way to snack just in time for Halloween! Lay pretzels out on a wax paper lined cookie sheet. 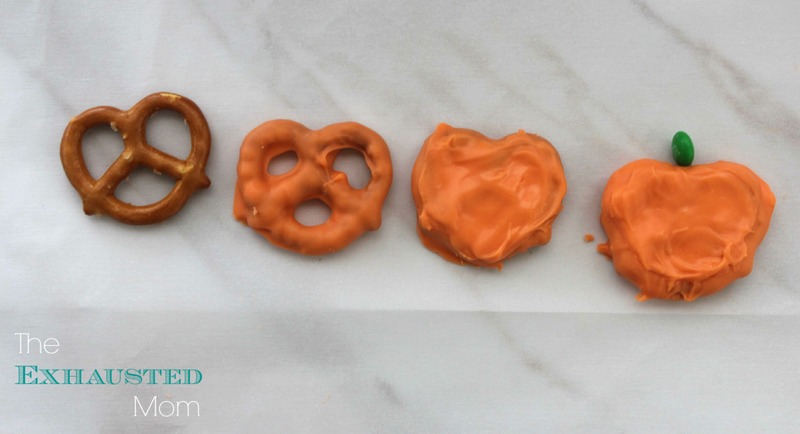 Dip each pretzel in candy and place on sheet to set. Transfer candy to corner of zippered bag and clip tiny piece off of corner to pipe. Pipe candy over insde of pretzel to form shape of pumpkin. Smooth with finger if necessary. Place mini M&M on side for stem (add more melted candy on M&M as glue if needed). You can also melt one black candy chip for 45-60 seconds and use a toothpick to paint on a Jack O Lantern face. Looking for more pretzel treats? Try these easy Ladybug Pretzels!